This Mum And Daughter Are Meeting For The Very First Time – Their Reactions? I’m left In Tears! Finding the right words to define the bond that exists between and baby and a mother is normally hard. That’s the kind of relationship that Yuan Yuan together with her baby known as Yuanzai are showing us. You will be left in tears when you witness their emotional reunion. The two have not seen each other for whole a month. Yuanzai was involved in an accident where she injured her leg and since then she has been living in an incubator. You can see how happy mom is when she meets her daughter. Immediately her baby girl is brought out by the zoo staff, she sticks out her arms and legs while close to the case for the long awaited reunion. The sweet reactions from this mother and daughter how adorable and incomparable the bond between a mother and child is. Watching the way the two reacted made me feel that Yuan Yuan has all that any child can need in a mother. Yaunzai must be so lucky! 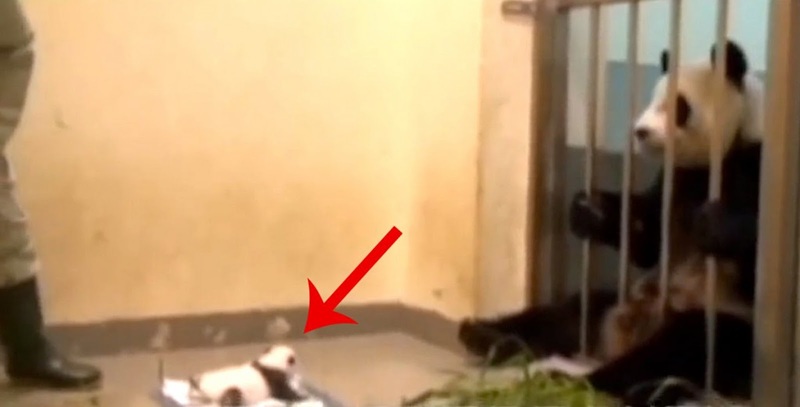 This is the first video of this caliber I’m watching where a panda and her child are involved! Kindly SHARE this tear-jerking video with friends!